The largest museum in the world devoted to glass artist Dale Chihuly opens Monday in the Seattle Center, at the base of the city's iconic space needle. The high-profile commission, intended to be "a huge shot in the arm" for the Space Needle Corp. as it celebrates the 50 year anniversary of Seattle's World's Fair, wasn't without its critics. Locals feared the loss of open space. 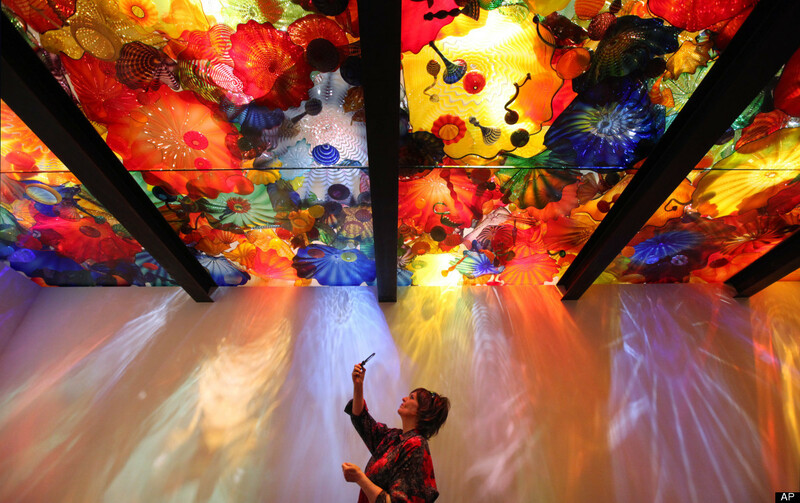 Some argued the world didn't need another museum devoted to Chihuly, whose wildly successful and prolific career (characterized by works that often resemble each other), they criticized as more a businessman's than an artist's. Still, they may end up buying what Chihuly's selling -- even former skeptics are leaving early previews of the 45,000 square foot Garden And Glass Museum with handblown stars in their eyes. "On seeing it for the first time, it's hard to remember what was there before," wrote a Seattle Times critic of the permanent installation.